Would you love to travel to Paris, France to see the Eiffel Tower? 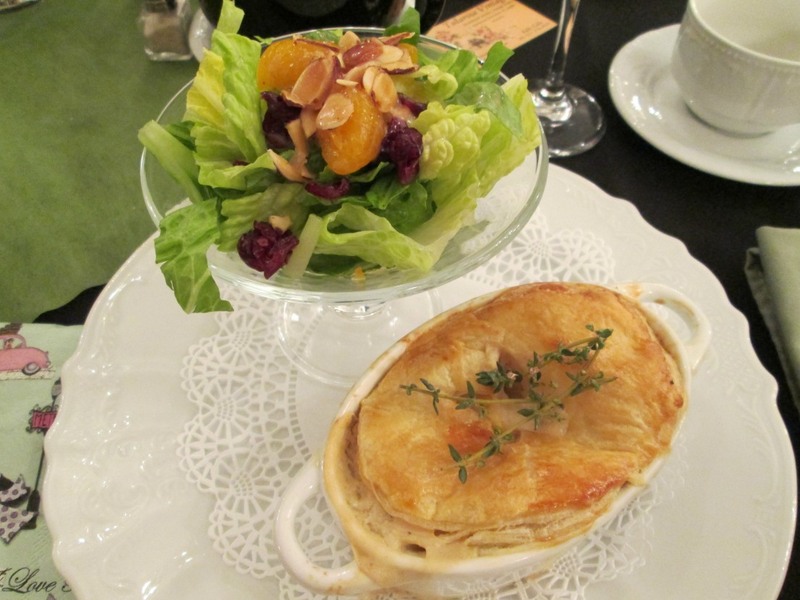 Dine at a sidewalk café, with French music playing in the background? Nibble on pastel colored French macarons and shop to your heart’s content? You won’t have to travel to the City of Lights to check those things off your bucket list. 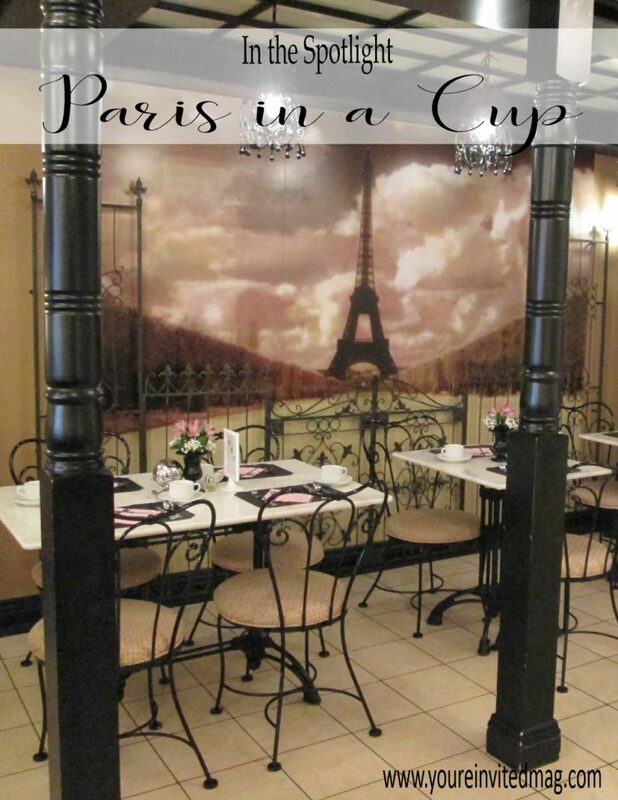 Just step inside Paris in a Cup and, in an instant, you’ll be whisked away to France. 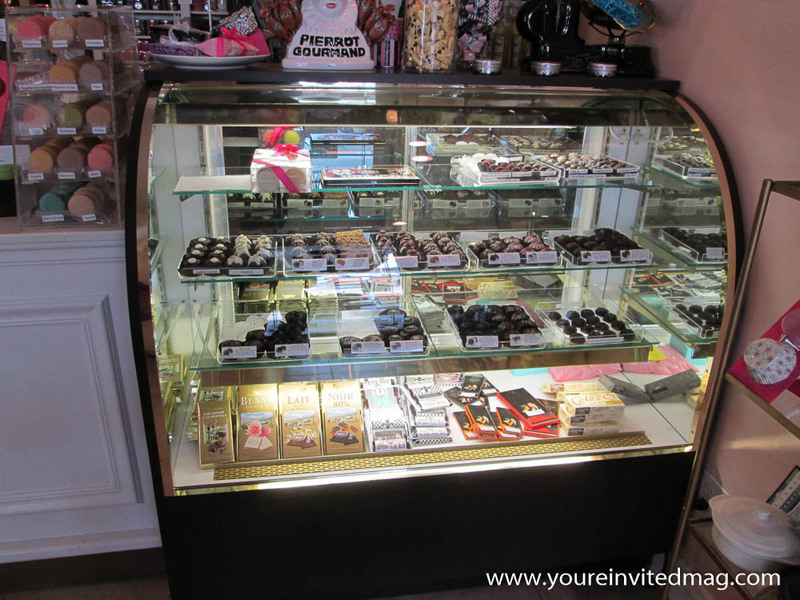 No expensive plane ticket needed, however, reservations may be in order at this beautiful tea salon located in Historic Old Towne Orange, California. From the look of things you’d never know that owner, Cheryl Turner, has never traveled to Paris. That’s because she’s afraid to fly. 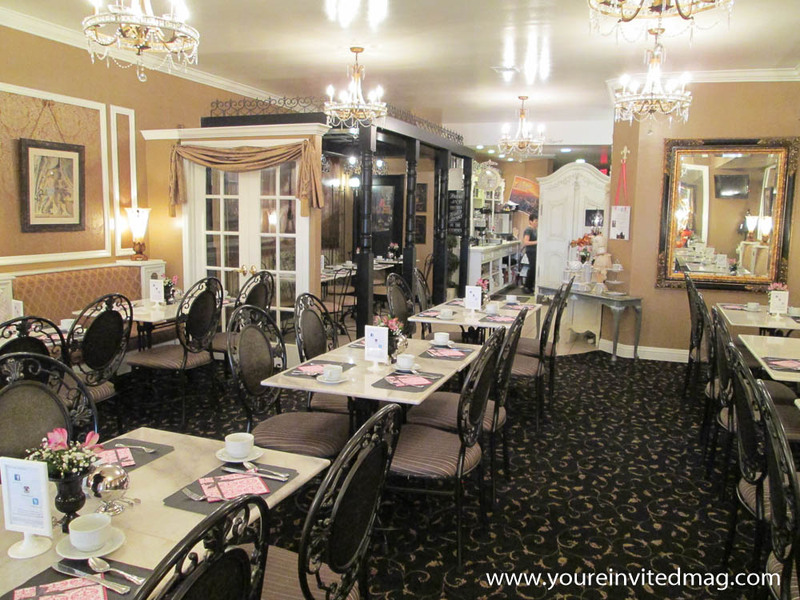 So in order to create her lovely French inspired tea salon, Cheryl and her sister, Valerie whom she enlisted early on, watched old movies that were filmed in Paris. Movies such as An American in Paris, Funny Face, and Ninotchka just to name a few. These films gave them decorating ideas, especially when it came to restaurant and café scenes. Cheryl even required her contractor to watch the films, so he would share their vision. Much to her surprise, he had doors custom made to resemble those she saw in the film, Weekend at the Waldorf, which she thought he was unable to acquire for her. While the tea salon was being built, Cheryl and her sister shopped for lighting, furnishings, and décor. 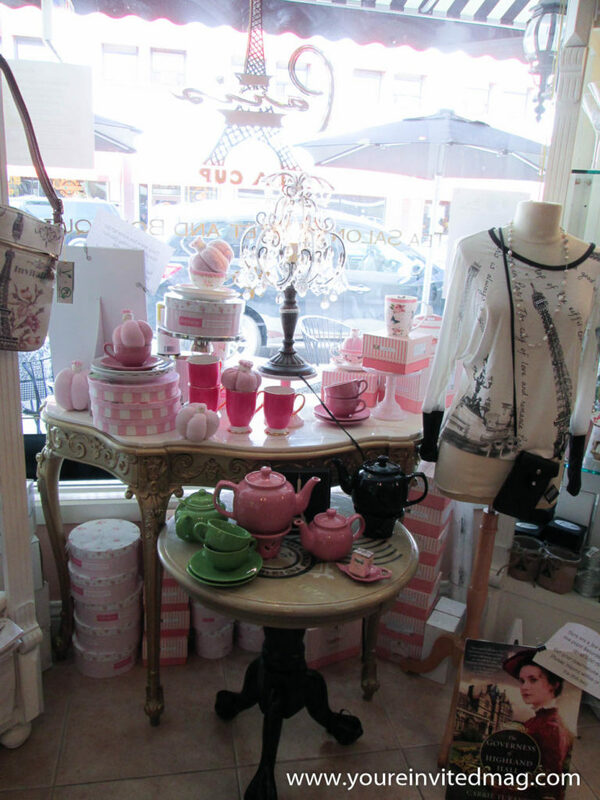 They scoured the internet looking at various tea rooms in France to gather more decorating and menu ideas. They noticed French tea rooms carried more bistro items, like soups and hearty sandwiches, which they incorporated into their menu. This later proved beneficial, as it brought men to the salon. Along the way, they met Sharon Sakimoto, a photo-artist who traveled to Paris nine times. She worked with the sisters on creating an image for their business cards, gift cards, and menus. Her artwork is also displayed within the salon. For their boutique, they worked with French companies who imported gourmet food and beverages, souvenirs, novelty items, and much more. After attending a tea expo, Cheryl began working with Lisa Brown from Hale Tea for six months to develop custom blends for their signature line. She felt it would be a great marketing tool for the salon to offer their own line of specialty teas. Paris in a Cup began with five signature blends – Lé Jardin de Paris (Paris Garden), Lé Été à Paris (Summer in Paris), and Lé Parfumé de France (Flavors of France), which are all black teas, Les Fruits à Été (Fruits of Summer) a naturally decaffeinated tea, and a royal blend named Marie Antoinette, which is an herbal tea. Due to the popularity of these teas, they expanded their line to include other blends. 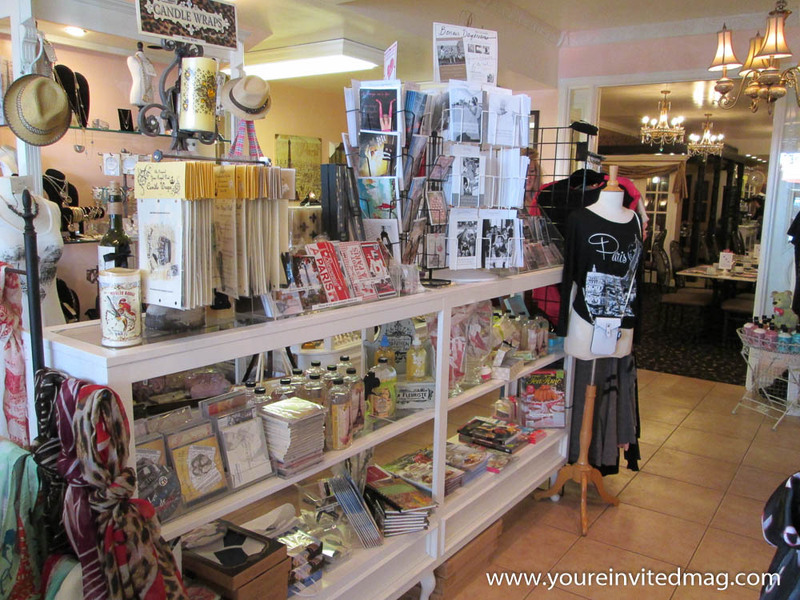 Over the years the boutique has evolved, Cheryl listened to her customers and her French importers and incorporated more authentic souvenirs and products. Contrary to what one might think, she has found it a pure joy to work with the French! Cheryl’s love for tea and the French culture came from her childhood. Her grandmother would take her to Buffum’s in Long Beach, California for tea, as well as other places in Los Angeles. Getting all dressed up wearing a hat, faux fur shawl and muffs, she and her grandmother would travel by Trolley car to the upscale department store. She’ll never forget the first time they went for tea. As a little girl, she had never had a sandwich on date nut bread and thought, “Wow, this is the way to have a sandwich!” She knew this was something special and she loved it. Her grandmother also took her to the Philharmonic to listen to classical music. All of this left a huge impression on Cheryl, who lives in the past, according to many who know her. As for the French culture, she loved the food, the countryside, the glamour, and the romance. She and her mother, Gigi, always dreamt of travelling to Paris, but never did. 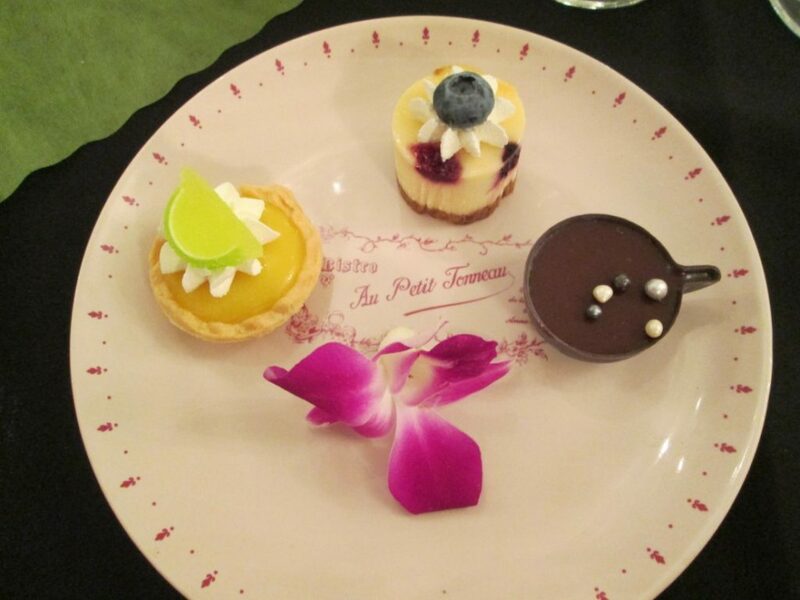 By creating Paris in a Cup, she could bring Paris home to them in a cute little cup, of course. Sadly, her mother died before the tea salon opened in November 1997. Every year, Paris in a Cup hosts several events. For Valentine’s Day, they offer a best friends’ tea in celebration of the ones you love. Enjoy lunch with your girlfriends, sisters, or your significant other. If your best friend happens to be a cute French poodle, lovable French bulldog, or any other type of canine you may enjoy tea on their outdoor patio with your furry friend. Their Little Black Dress event has become popular over the years and is celebrated the day before Easter. The Easter Parade was the inspiration for this ever growing event, where women would get dressed up wearing hats and their Sunday best, but it has evolved into the Little Black Dress event. Their Mother’s Day tea is also very popular. And for three weekends in December, the salon offers a Joyeux Noel tea. Nothing sparkles like their Christmas tea! Do check their website (www.parisinacup.com) as other happenings occur throughout the year. It’s important to enjoy your guests, so keep it simple. Have a buffet tea set up rather than serving tea. Offer three teas – a black tea, a green tea, and an herbal tea. Make your sandwiches the night before. To keep moist, wrap them in a damp paper towel and place them in a plastic bag in the refrigerator. 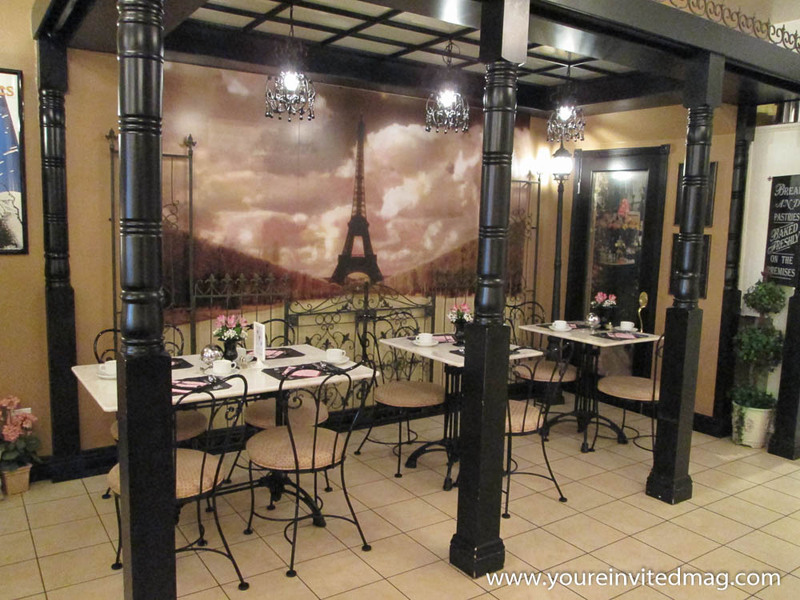 If you would like to converse with your friends over tea, but don’t want to tidy the house, make petite no crust sandwiches, or wash the teacups afterwards, then head on over to Paris in a Cup for some warm tea, a savory scone, and a sweet bite size taste of France. It will be a trip worth taking.